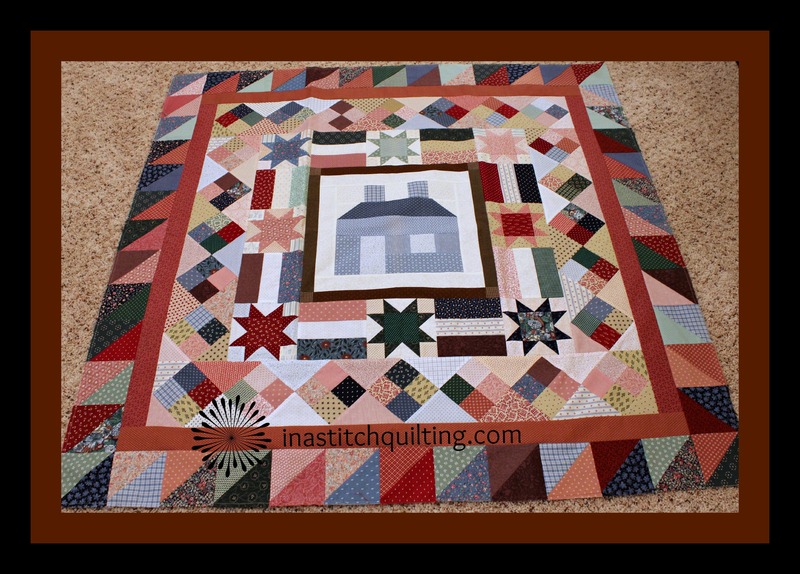 Aside from the liberties I took with the design of the house my quilt looked relatively similar. Obviously I must have liked the pattern, at some point, because I purchased the book. When I first started quilting my taste in fabric, as well as my home decor, definitely leaned toward the country theme. Prominent in my color scheme were varying shades of blue and mauve. I have no idea why I chose blue as the color for this house. Perhaps it was because blue was my favorite color? 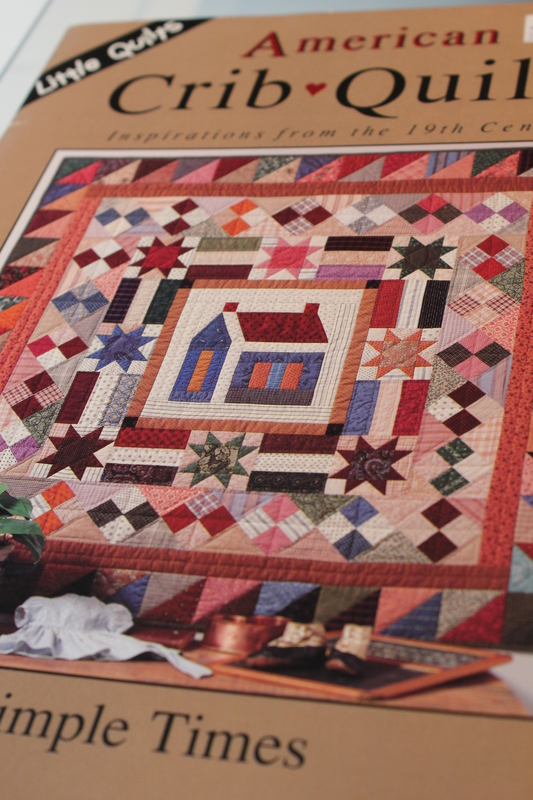 That blue house, sitting smack dab in the center of the quilt, was the number one reason I didn’t like it. Actually, I wasn’t particularly pleased with the other colors either. But that blue house just stood out like a sore thumb. I never did bind or quilt it. I just couldn’t bring myself to do it. Somehow finishing the quilt would have meant I had validated it existence and accepted it for what it was. But the thought of doing that didn’t sit right. For many years the quilt sat hidden away in some unnoticed corner of my closet. Then one day I saw it sadly sitting behind a pile of fabric and I felt bad. So I moved the mound of cloth, retrieved the quilt from the darkness, rearranged its many folds and placed it amongst a stack of completed quilts. For a very long time it remained there, in its unfinished state, with its raw edges neatly tucked inside. Then one day, out of the corner of my eye, the quilt caught my attention. That’s when I got the inspiration to rethink the quilt’s destiny. Rayna’s book was the spark that lit the flame. Knowing where to begin, when constructing a brand new quilt, is much easier than knowing how to take one apart and then reassemble it. I could mindlessly disassemble it, with little regard for its future, or I could ponder how it might be re-purposed into something more pleasing. I chose the re-purpose route. Once that hurdle was crossed I began wondering how I might want to reuse the harvested fabric. Questions such as the ones listed below cycled through my mind teasing me with the many possible outcomes. The more I thought the more excited I got. Should I take all of the stitches out? If not, will the quilt be taken apart in sections? If the quilt will be divided into sections, what will be in each section. 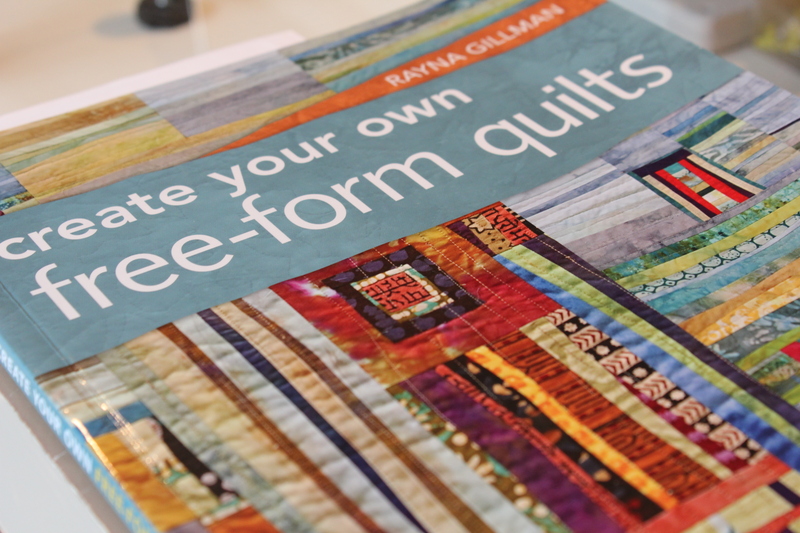 Or, will the quilt be cut apart using a scissors or rotary cutter? The more excited I was the more I became convinced I could do this. I could do the unheard of. I could actually take apart a quilt. I was ready to approach the fork in the road with enthusiasm and determination. Next up was putting my plans into action. Hopefully you are as interested in what will transpire as I am. Be watching for the next chapter. I hope you find something wonderful to make of your quilt top!